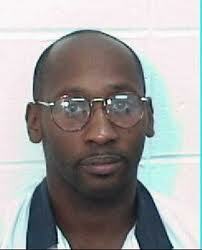 Troy Davis died last night at 11:08 from lethal injection. Strong evidence pointed to another man as the killer of officer Mark MacPhail. There was certainly a tremendous amount of doubt surrounding his conviction and I felt it was tragic that despite this, he was executed. I’m not alone in my opinion; over a million people from across the U.S. and the world supported clemency for Mr. Davis. My heart goes out to both the MacPhail and Davis families, because I think they’re both victims in this case. I don’t know if Davis was innocent, but with such strong doubt of his guilt, capital punishment should not have been considered. As I’ve mentioned before, I acknowledge the fact that the world has gotten rid of some very heinous individuals, but I can’t help but think about the cost of that; the cost consisting of innocent people. Is the elimination of an S.O.B. worth killing a few wrongly convicted here and there? The Innocence Project has exonerated 273 people, 17 of which served on Death Row. What about those this organization has not been able to save? 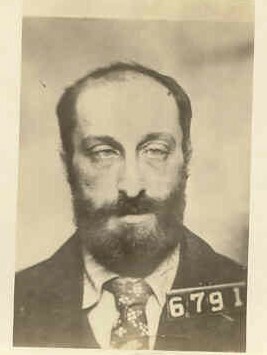 Oppenheimer was just one of many of Folsom’s 93 who called for the abolition of the death penalty. I doubt he ever believed that over a hundred years later, it would still be practiced in 34 states, including California. You can read in an earlier post, about how I talked about whether or not I believed some of Folsom’s condemned men were innocent (yes, I did)! My hope is that if Davis was indeed innocent, that the real killer is caught and Davis’ name will be cleared. It’s the least the justice system can do. Categories: Death Penalty | Tags: Capital punishment, death penalty, Jacob Oppenheimer, justice, The Innocence Project, Troy Davis | Permalink.